Golden straw color. Inviting, fruity aromas of toasted apple-cinnamon pastry, poached pear with walnut praline, dried orange peel, lime curd, and clove with a round, crisp, fruity medium body and a smooth, interesting, medium-long caraway and banana confection finish with a suggestion of oak flavor. A luscious white Bordeaux varietal blend that drapes the palate in decadent fruit and pastry notes. Bottom Line: A luscious white Bordeaux varietal blend that drapes the palate in decadent fruit and pastry notes. 90 • L’Ecole N° 41 2017 Chardonnay, Columbia Valley 14.5% (USA) $22.00. 86 • L’Ecole N° 41 2017 Old Vines, Chenin Blanc, Columbia Valley 13.5% (USA) $15.00. 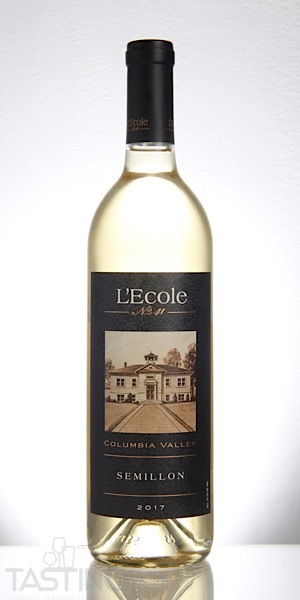 88 • L’Ecole N° 41 2017 Semillon, Columbia Valley 14.5% (USA) $15.00. Semillon is a white grape planted most notably in Bordeaux and Australia. 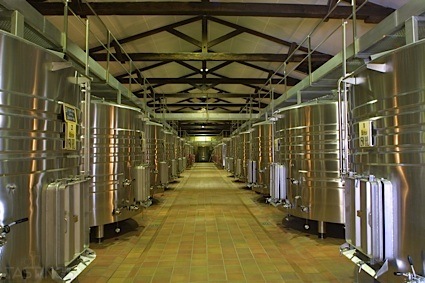 While there are some fine dry versions of Semillon (especially from the Hunter Valley in Australia), the most famous use of Semillon is as part of the blend of a Sauternes, the famous dessert wine of Bordeaux. Semillon as a dry wine has a flavor profile of lemon, apple and tropical fruit along with notes of magnolia and figs - this last a classic descriptor for the wine. Medium-bodied, the acidity varies as to the climate it is grown in. Pair these wines with lighter seafood, risotto or light white meats and consume them by their fifth to seventh birthday. L’Ecole N° 41 2017 Semillon, Columbia Valley rating was calculated by tastings.com to be 88 points out of 100 on 10/17/2018. Please note that MSRP may have changed since the date of our review.